But given the choice, which would you rather have on your shelves? Which intrigues you more, or grabs your attention first? 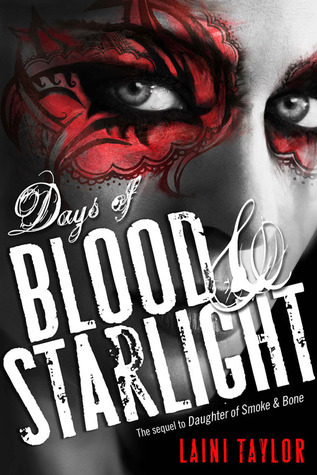 Last Week on FFO: Differing covers for Laini Taylor's Days of Blood & Starlight went head to head: the US version, where it is marketed as young adult, and the UK version, where it is marketed as adult. Though everyone saw some merit in both (and a few people felt like, merit or not, they were both pretty meh), the US cover one in a landslide. I like the one with the crows way better! I love them both. But I'll vote the new one. It is quite striking. I like the earthy one with the girl lying down better (I guess that's the hardcover). The lilac one with the moon and the birds isn't bad, but there's something a little cheap looking about the design. The purple one is pretty, but it is pretty generic to me. I really like the earthy vibe and the colors and the font of the cover to the left. So pretty! I like the second one it just captures my attention. I love the crows on it makes it look wicked. Plus the way she's holding one with her eyes closed makes you think she is doing a spell. I feel the Uk cover looks a lot like most adult paranormal books out there. The US cover calls to me. It makes me want to know who the girl is and why she is on the ground. Also, I want to know what she is look at so intently. She looks like she has a question or maybe even a look of surprise on her face. Then there is the font which is so well done, it is something I happen to love to see done. Definitely the one on the left. The other one is slightly... strange and off putting for me for some reason. I love the US version. It looks so much better. In a way it kind of gives of the true earthiness of the Wicca belief. While in my opinion the UK version seems more like a gimmick. 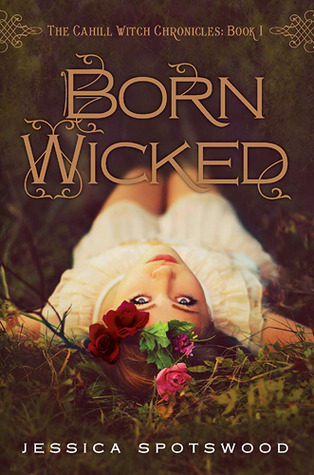 I think the one with her lying down better fits the "Wicked" part of the title. I like 'em both, too, but the hardcover (left) definitely gets my vote!